By now most people have heard of and hopefully come to terms with the fact that I eat ‘Race burrito’ during any distance race over a Half Mary. I started this nutrition tactic during the Knickerbocker 60K last year when I was freaking out over how I would survive the race. It worked that day and a new way of fueling was born for me. A lot of people have asked how they are made and what goes into them so I though I would do some explaining. 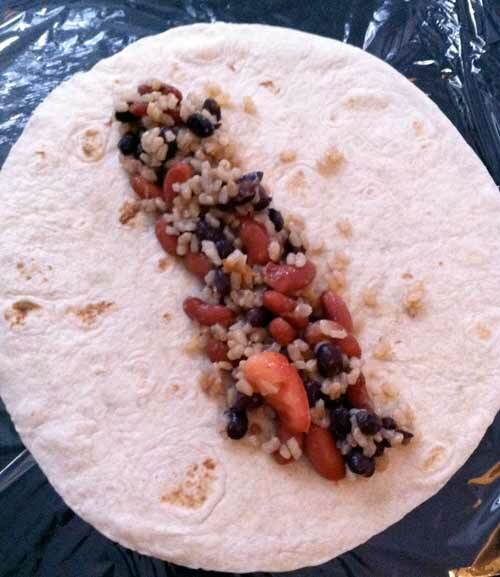 SIDENOTE: I will make you ‘Race Burritos’ if you give me a few days notice before a race. While the rice is cooking, drain and rinse the beans and dice the tomato. Add them to the rice mix once it is cooked thoroughly. On low heat, keep stirring the rice and bean mixture. Add a hearty amount of sea salt and go light on the cumin. Do not over do it (regarding the cumin) otherwise it will affect you on the course. Once the mix has cooled a bit (and there is minimal moisture) add very thin strips to the tortillas. 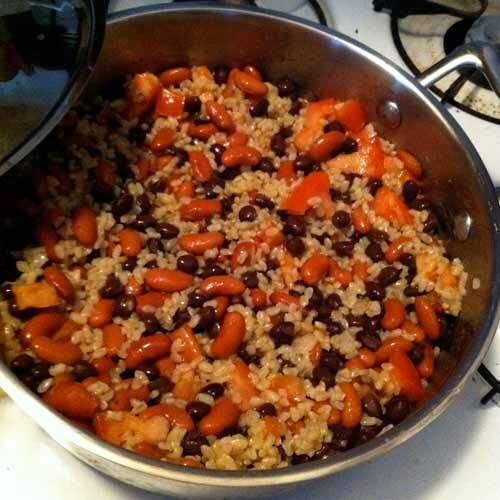 Try and get an even spread of beans and rice. 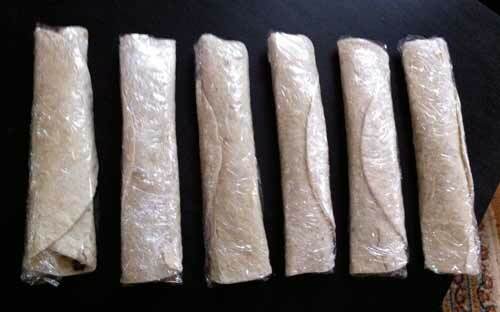 Roll them very tight and moisten the outside flap with warm water to seal it. Then, wrap it in cellophane by folding the left and right ‘open’ sides of the burrito first, then roll the rest around it. This helps to keep it together and to make it easier to open while running. Refrigerate, then on race day tape them to your bike, stuff ’em up your shirt or in your arm warmers. SIDENOTE: I normally eat one the day before a race so my body adapts to it.